The award-winning Maisie Dobbs mystery series jumps ahead four years, summarizing Maisie’s recent past in only twenty pages. It’s been an eventful period, one that many readers would like to hear more about. After visiting India, Maisie is not quite ready to return home to England, and leaves her ship in Gibraltar. In 1937, the Spanish Civil War is just across the border. Maisie takes a room at Mrs. Bishop’s boarding house, and frequents a café nearby. Out for a walk, she stumbles across the body of Jewish photographer Sebastian Babayoff, and later finds one of his cameras. Since the police aren’t interested in investigating, Maisie, who thought she’d left detective work, takes up the case, mainly for the sake of his two sisters. She finds that she’s being followed, possibly by two men. Her family and friends plead with her to return home soon. Instead, Maisie visits Sebastian’s sister Miriam and asks for help in developing Sebastian’s last photographs. The photographs lead to a trip to war-torn Spain, which raises more questions, but also provides an idea for Maisie’s next project. I missed the presence of Maisie’s assistant, Billy Beale, but enjoyed being immersed in the atmosphere of 1930s Gibraltar. Maisie really shows her vulnerability in this book, which makes her seem more real. 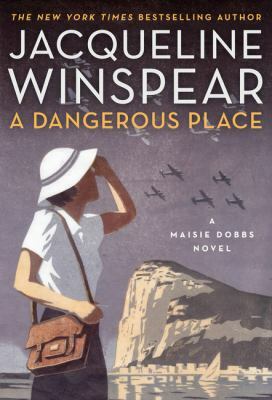 The first book in this excellent series is Maisie Dobbs.